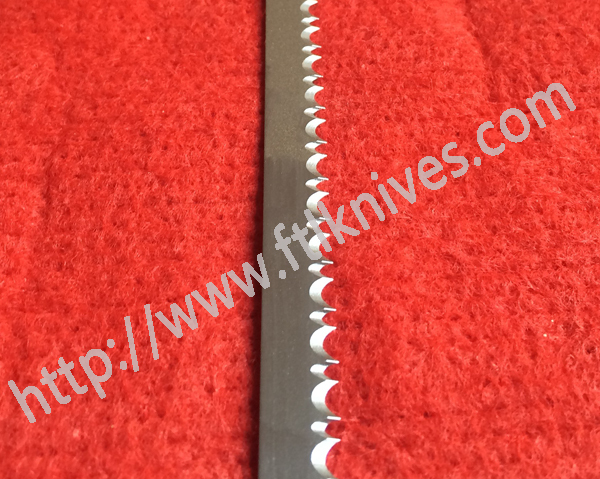 ◆ The company refined variety of cutter products, excellent quality, flatness privileged. When the strip is cut using the processing items , they may be based on different shapes, sizes and varied. ◆ Material :65MN SK-5 SUS-440C 420-J2 SKD-11 SKH, according to need. ◆ Main purpose : Making machine tools , sealing machine tools , plastic knives , rotary presses with knives, Candy packaging machine knives, EPE cutting machine knives, plastic paper cutting knives and all kinds of packaging machine tool.